1. Yes, the Bucs are better. Even from a practice game, where you can tell little else, you can tell that the talent level has improved. But the NFC South is a beast. We do not yet know if the Bucs can hold up or if they can find a way to win close games. Winning is better than losing, but remember it's preseason. All answers are in pencil. 2.The best unit on the field for the Bucs remains their wide receivers. It's going to be up to the quarterback to take full advantage of them, and it's going to be up to the quarterback to keep them involved. 3. 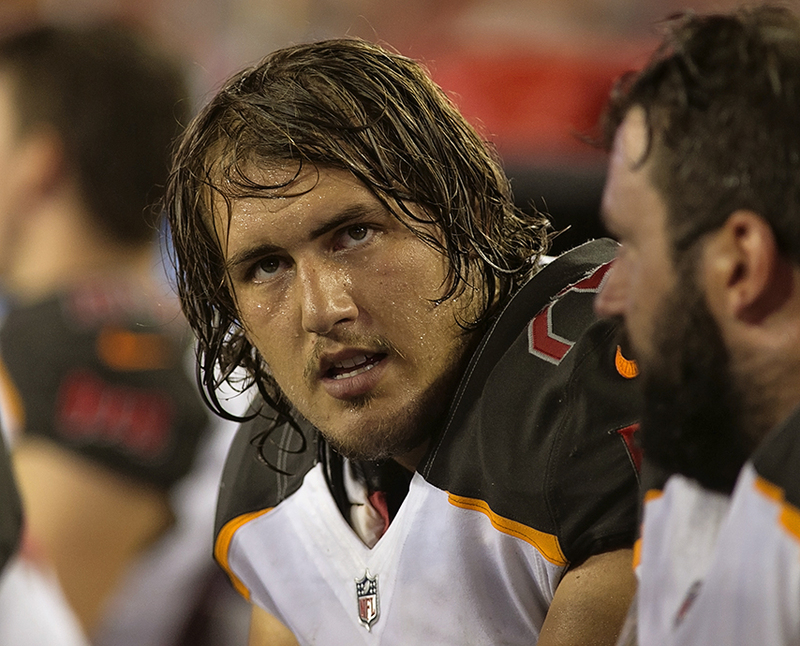 Among the Bucs who had a very good Thursday night was general manager Jason Licht. No. 1 draft pick Vita Vea didn't play, but both second-round defensive backs played well enough to figure in a rotation. Jordan Whitehead played most of the second half. Justin Watson had a couple of catches. Alex Kappa played. Ronald Jones may need more time, and he may need work behind the better offensive linemen. 4. 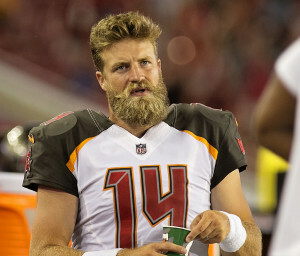 Ryan Fitzpatrick is a bright man with a Harvard education. So why is it that every time I see that beard, I think he's about to shoot some revenuers to protect his corn squeezings? 5. Before you think it, no, Ryan Griffin cannot challenge Fitzpatrick for the starting job. He's a talented guy, and he'll make the team. But the one thing Fitzpatrick has is experience, which is the one thing that Griffin lack. Griffin could well be the star of preseason, but he's the third quarterback. "I wasn’t thrilled with Ryan Tannehill. I’m reading elsewhere that he was sharp in his first outing 600-plus days after his 2016 knee injury. Well, he had moments when he was sharp. He started 3-for-3 and had the Dolphins moving with two first downs the game’s first three plays....Tannehill was rusty. And I get it, he hasn’t played a game in a long time. But he doesn’t get graded on a curve for missing time. He’s not six-years-old and vying for a participation award." "Buccaneers defensive tackle Stevie Tu'ikolovatu manhandled Miami center Mike Matthews to the outside making a stop on an early second quarter inside zone play after beating the Miami line earlier in the drive for a pressure. The second-year player made an impact with the absence of rookie first-round pick Vita Vea." "If I were inclined to a knee-jerk reaction, concern for the spot previously filled by five-time Pro Bowler Ndamukong Suh would be why. It seemed like the Dolphins defensive tackles were regularity parted and controlled by the Bucs offense. Sure, they had some bright spots, but my criticism can be summed up this way. 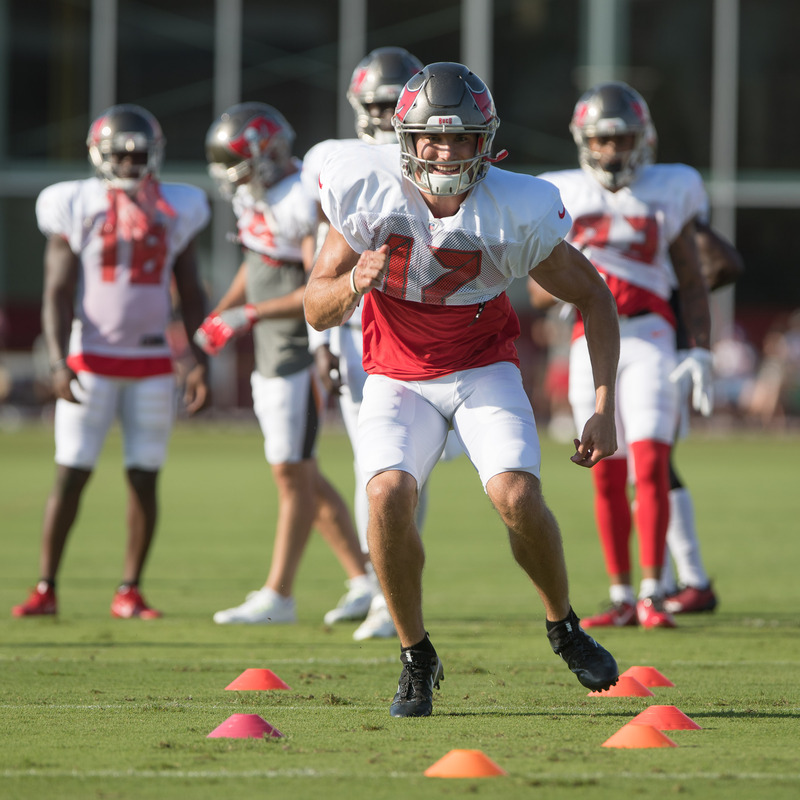 . . It’s one thing when Buccaneers running back Peyton Barber gashes his way to paydirt, it’s another when their man under center, Ryan Fitzpatrick, can scramble through the middle without resistance." "The Bucs came into this with a banged-up offensive line, but you wouldn’t have known it when the starters were in, especially on Tampa’s first TD drive. Peyton Barber’s 4-yard TD run was too easy." The defense has dominated the offense in general during training camp. Thursday provided a different look. The offense had a good opening series. The defense? Well, not so much. It didn’t just get taken down the field on the first series (six plays, 57 yards) for a touchdown. Tampa Bay’s three quarterbacks combined to complete 27-of-37 passes for 326 yards and a 103.5 rating. Ryan Fitzpatrick (6 of 8 for 55 yards) and Jameis Winston (11 of 13 for 102 yards) led the way. Offense: Ryan Griffin may have been going against the No. 3s of the Dolphins, but then again, he's a No, 3. Griffin's efficiency and his comeback were striking. 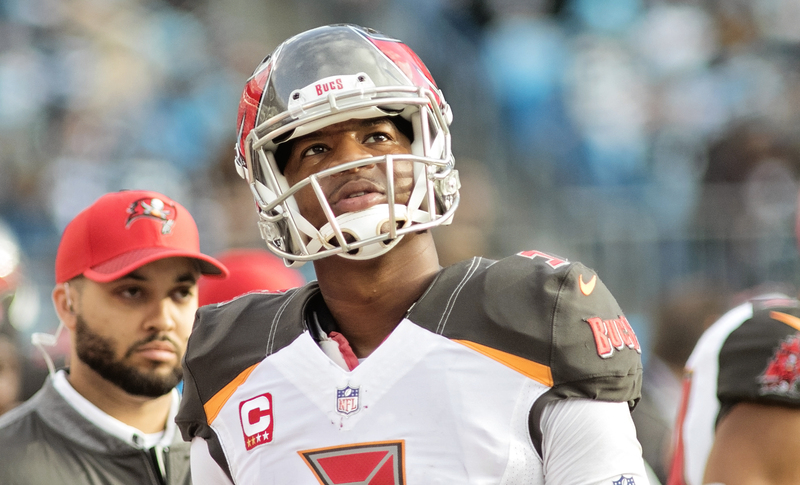 If Jameis Winston was not suspended, he might be able to challenge for the No. 2 spot. As it is, Ryan Fitzpatrick's experience makes him the first choice. Defense: Jason Pierre-Paul. Pierre-Paul played only briefly, but he held up his side of the line well. Remember back when the Bucs traded for him after missing on Robert Quinn? Did anyone even notice Quinn on Thursday night? Special teams: Cameron Lynch had two tackles on kickoffs, five for the game. Quarterbacking: It's rare that any team is as precise as the Bucs' three quarterbacks were Thursday night. They completed 37 of 47 passes for a 103.5 rating, and all three quarterbacks produced points. This was against a Dolphins' defense that had dominated its offense in training camp. Grade: A. Running backs: The Bucs actually ran well in the early going, and Paytoek Barber averaged more than five yards a carry. The Bucs struggled some later, including No. 2 draft pick Ronald Jones, who carried eight times for nine yards. Grade: C+. Offensive line: The starters played well. Miami's only sack came with the backups on the field, and as mentioned, the Bucs' top line played well while it was in there. Depth might be a problem for the Bucs, however. Grade: C.
Receivers: The Bucs have a wealth of riches at the wideout position with Mike Evans, DeSean Jackson, Chris Godwin and Adam Humphries. In all, 16 players caught balls. Cameron Brate led the tight ends with five catches. Keep an eye on Sergio Bailey, who made a statement toward at least a practice squad berth. Grade: A. Defensive line: Did you expect more pressure? Most of us did. Gerald McCoy got a sack (and the backups got another one), but there were moments the Dolphins had too much time. Starting the season against Drew Brees, Carson Wentz and Ben Roethlisberger, the pass rush will have to be more intense. Grade: B.
Linebacker: The Bucs didn't rely much on their starting linebackers, but they've got good depth at the position. Grade: B. Defensive back: One cornerback entered hurt, and the other was hurt soon after the opening kickoff. That gave Carlton Davis, M.J. Stewart and Jordan Whitehead a lot of playing time. After a wobbly start, they played well Grade: C+. Kicker: Did someone let Roberto Aguayo back into a uniform? Nick Folk? Mirro Roder? Chandler Catanzola needs a perfect night this week. Grade: D.
1. 2-2-37 -- Trailing by one with 32 seconds to play, third-team quarterback Ryan Griffin hit Sterling Bailey for the second straight play, this one for 20 yards to the Miami 17, setting up Chandler Catanzaro for the winning field goal. 2. 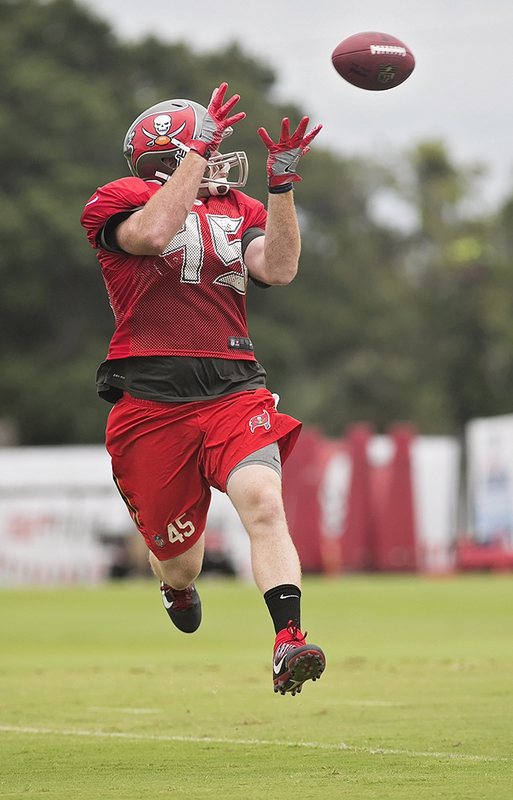 3-6-10 -- The Bucs have better tight ends, but Alan Cross made a leaping catch of a Ryan Griffin throw for a touchdown. Cross had a 14-yard catch earlier in the series. 3. 2=11-39 -- Jameis Winston hit his buddy Cameron Brate for a 20-yard reception. 4. 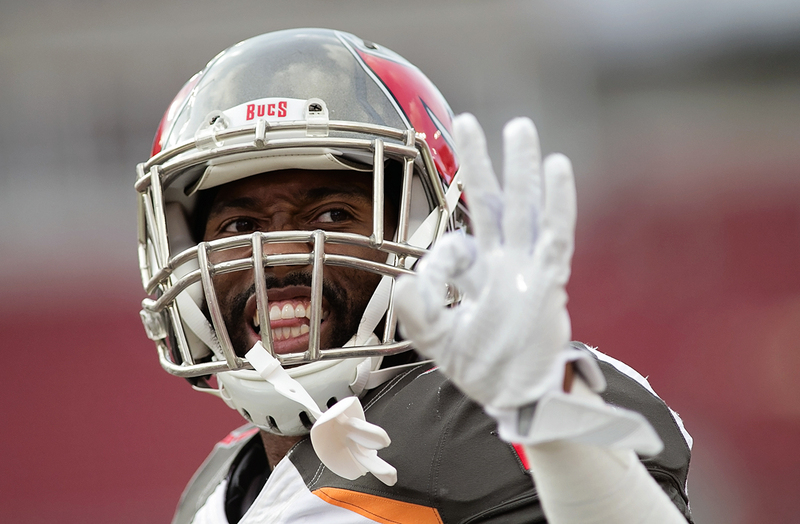 1-10-41 -- On the Bucs' first play of the game, Ryan Fitzpatrick hit DeSean Jackson on an 18-yard sideline pass. 5. 1-10-22 -- Winston hit Freddie Martino for 19 yards to set up a Bucs' touchdown run. 1. 2-8-12 -- After making a six-yard catch, Justin Watson fumbled away a reception for the Bucs. 2. 1-15-46 -- Winston was sacked for a 10-yard loss shortly before the half. It was the only sack the Dolphins would get. 3. Extra point -- Chandler Catanzaro didn't miss an extra point all last year. He missed his first one as a Buc. 4, 4-10-25 -- Catanzaro missed a 53-yard field goal, and the field position allowed Miami to drive for the go-ahead touchdown. You can also quibble with Dirk Koetter's decision to pin the Dolphins close to their end zone. 5. Extra point -- Jordan Whitehead was beaten badly on a two-point conversion pass from Bryce Petty to Isaiah Ford. 1. The NFL kneeling controversy is a perfect thing for Donald Trump, no matter how you feel about him. He can rail against the NFL players, and the masses will agree. It's a bit of a diversion from not answering questions about Russia. 2. 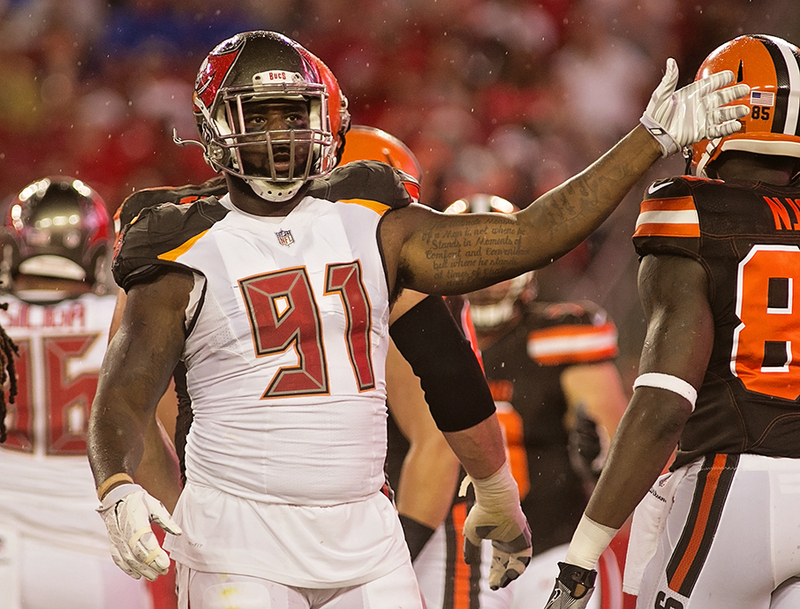 Yes, it was a concern last week when former Bucs' defensive end Robert Ayers talked about how the team played only two coverages for most of the season. This is the NFL. Junior high teas play more than two coverages. 3. Just asking, but where would the Bucs be in the AFC East? Could they be the runner-up to New England? Can anyone get a recount? 4. If I'm a free agent kicker, and the Bucs call, I don't answer the phone. The goalposts are cursed, and they swallow a man's career. 5. Looking ahead: If the Bucs go winless in their first three games, they're going to have a losing season If they win one of the three, they can be a .500 team. If they win two of the three, they are a playoff contender If they win three of three, pigs will fly and we can all gather bacon.